Only a short journey today. 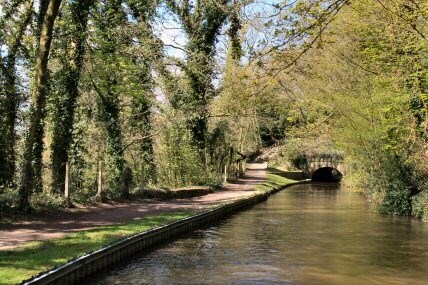 There are plenty of woods on both sides of the canal. I spent the first part of the day trying to get the bilge pump working with a distinct lack of success. The prop shaft seems to be staying in one place but there is a knocking sound as we move through the water. 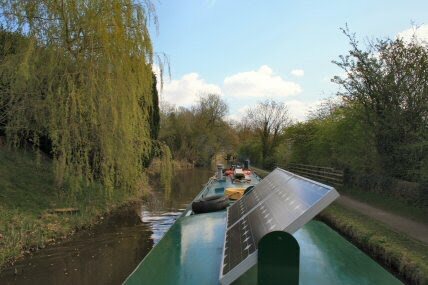 I am hoping that this is due to the lack of depth to the canal as the last time it happened was during the move up to Todmorden and during the trip past Rockdale. 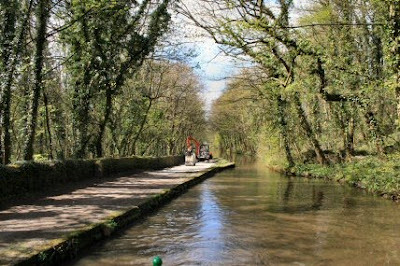 There is work being done on the towpath along here with a large dip being filled in. The towpath is out of use at the moment. 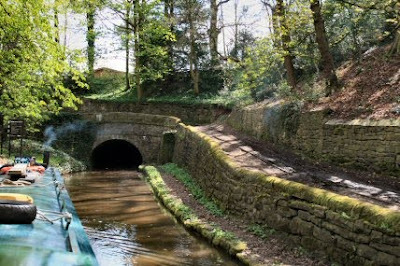 After a short while the entrance to the 308 yard long Hyde Bank Tunnel comes into view. It is wider than the last tunnel but not wide enough for boats to pass. There is a drop in tunnel height as you enter the tunnel and a couple of small kinks as you progress through. This is the eastern end of the tunnel and from here you can see the other end. The west entrance isn't so easy to see in. A few yards the other side of the bridge is the large aqueduct and the first of the Marple 16. 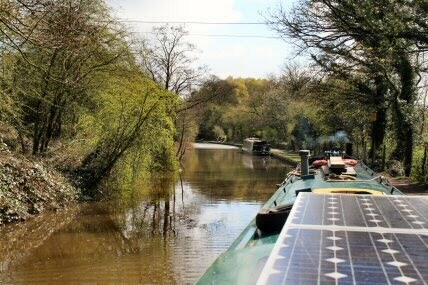 The mooring tonight is high up on the wooded valley side. Still low water depth. 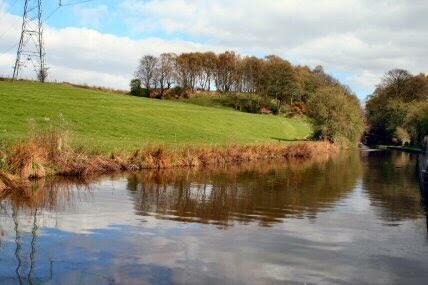 The view from the bows at tonights mooring. During the afternoon I had a walk into Marple. While access can be from Bridge 18 when walking up there is a playing field, near the warehouse, and walking across this takes you to the Co-op and the main street.